Anyone who loves heading off road, and uses a larger aftermarket jack, knows that space can sometimes be an issue thanks to the jack's size and length. It doesn't have to be that way though as you can get the jack out of your Jeep's back seat, or cargo area, and mounted on the exterior with Smittybilt's Jack Mounting Brackets. 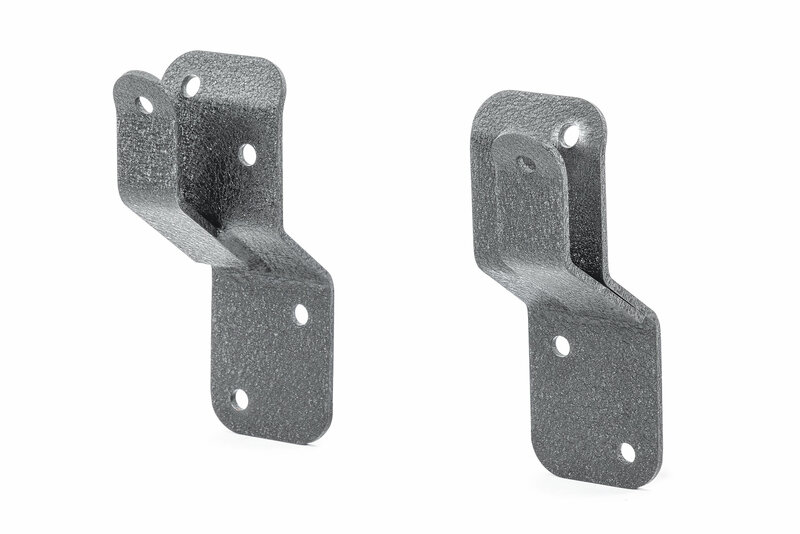 These heavy-brackets are constructed of durable steel and coated with a corrosive and weather-resistant black finish designed to give you the maximum in durability. Plus, they are universal fit so you can secure your Hi-Lift Jack or Smittybilt Trail Jack with a standard padlock. 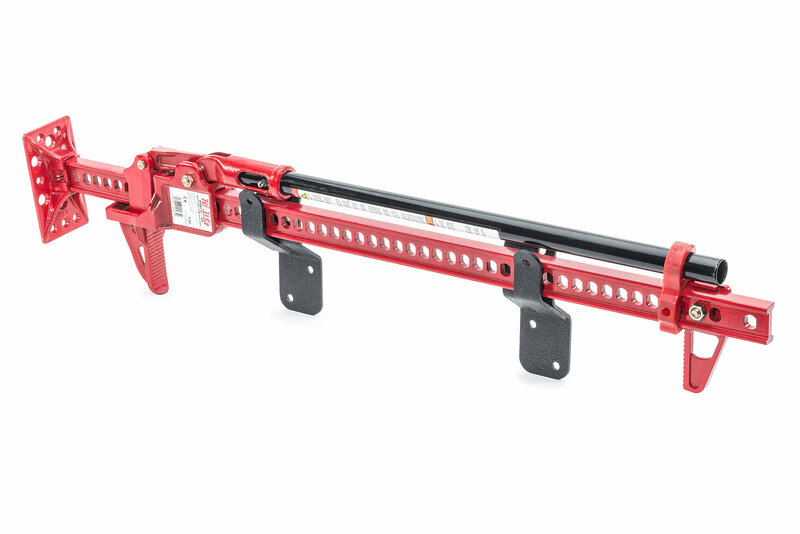 They mount to any flat vertical surface, such as a flat bumper or roof rack. Brackets come complete with mounting instructions and hardware. Solid Construction: The Smittybilt D7031 Jack Mounting Brackets are manufactured with heavy-duty steel and utilize a corrosive and weather-resistant black finish to provide a long-lasting coating that will hold up year after year. 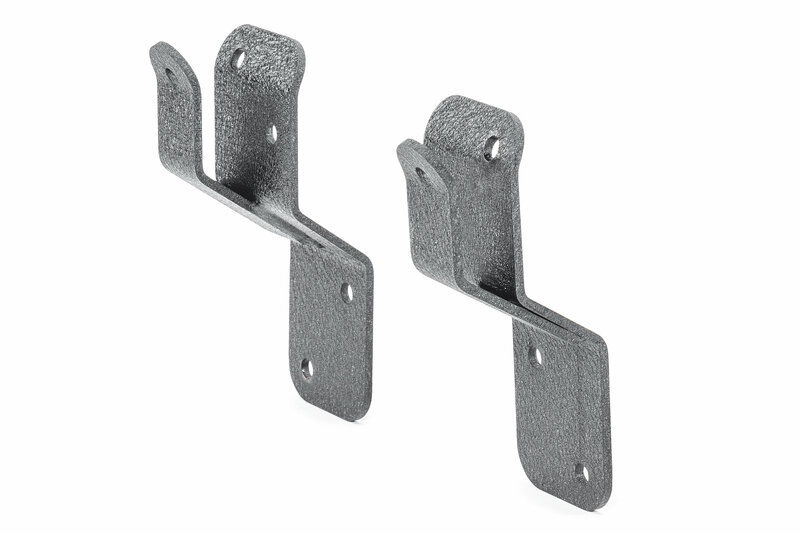 Secure Fitment: These brackets offer universal fitment and are specially designed to mount to a flat surface, while secure your Hi-Lift Jack with a standard padlock. Space Saving Purpose:These Smittybilt brackets are a perfect solution for those on the go, as they offer a secure place to store your Jeep’s jack system that does not compromise storage space inside the vehicle. What is the distance between screw holes on the mounting plate area?